﻿ Jujubee S.A. - Games Developer and Publisher. 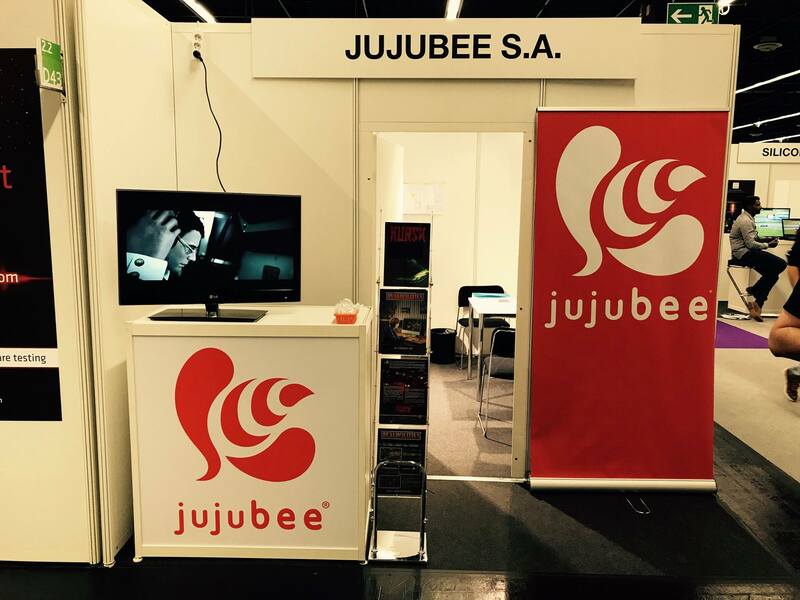 iOS | Android | WP | PC | Mac | Linux | PS4 | Xbox One - Jujubee at Gamescom 2017 in Cologne! Gamescom is an event that always demands a lot of effort from exhibitors. It’s not just the preparation of the exhibitions, but also all the work that helps to attract more attendants and potential business partners. This year’s edition was, once again, the most-visited game event in the world. Roughly 350,000 visitors (not counting the press, developers, and exhibitors) came to see over 900 exhibitors from 54 countries, once again setting a new record. The number of events and games presented at Gamescom was so overwhelming that we didn’t manage to see everything. We had to divide our time between our exhibitor duties and the occasional break. 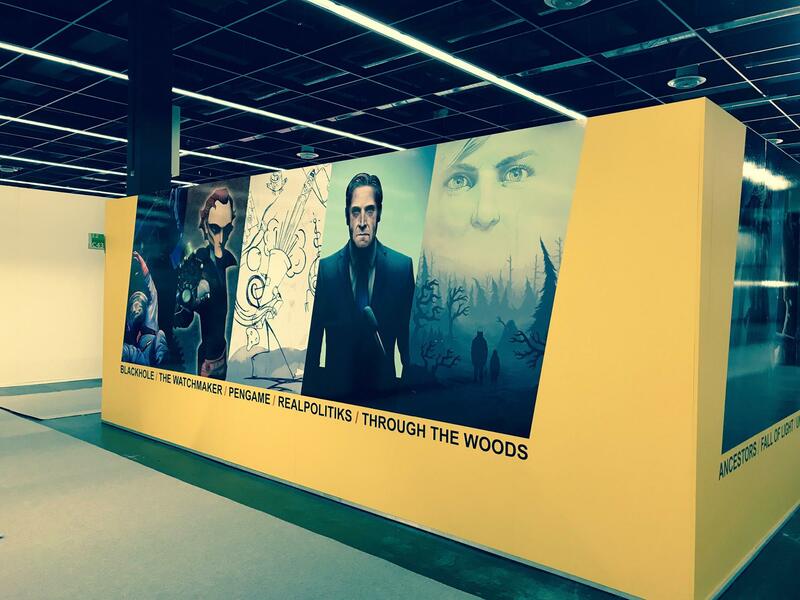 This was the fourth time we have been a Gamescom exhibitor. There was a lot of interest and enthusiasm about our games from business partners, the press, and the many visitors. This time it was much easier for us to prepare. We focused our work solely on the business stall and meetings with selected partners. As always, when it comes to such big events, we had to set ourselves some important goals. Thanks to our highly developed network, we were able to make the ties with our current partners stronger. But what’s more, thanks to the conference we met many interesting new people. This could lead to more fruitful partnerships, both in terms of distribution and promotion. However, meetings with business partners and the press are not everything. It’s the gamers that are truly important. They are the most influential reviewers and critics of our products. 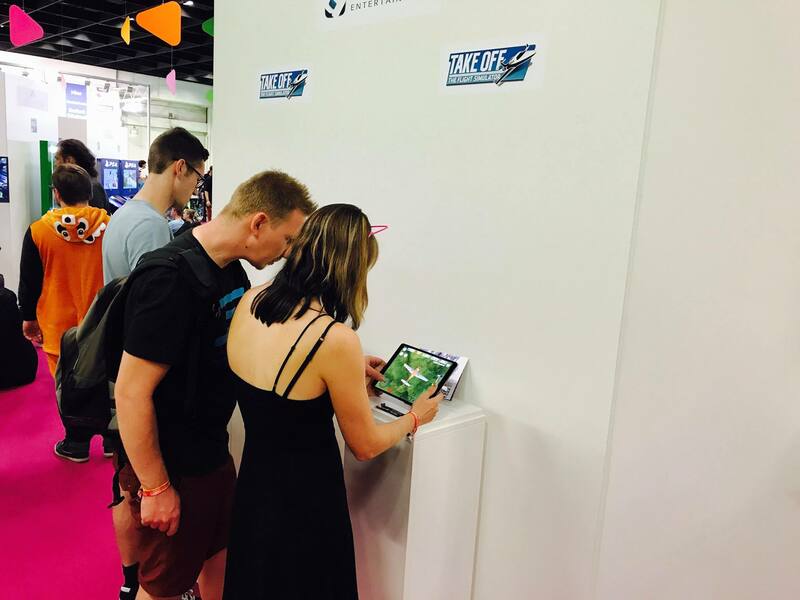 That is why, thanks to our exhibitors Astragon Entertainment GmbH and 1C Publishing, gamers from all around the world had the chance to play the mobile version of Take Off – The Flight Simulator and learn more about the recently released strategy game Realpolitiks. In the meantime, we managed to take in some of the atmosphere and feel like a part of the crowd of dedicated gamers visiting various exhibitors. The biggest developers made the biggest impression. We were blown away by the gigantic Star Wars: Battlefront II set. The life-size X-wing and Tie-Fighter made us feel like these machines were just about to fly over our heads. The overwhelming number of games and the lines to get to them made it impossible to see and play all the highly-anticipated titles. Unfortunately, this is completely normal. It’s only during closed days that the press and business guests can go around and test all the games without any stress. 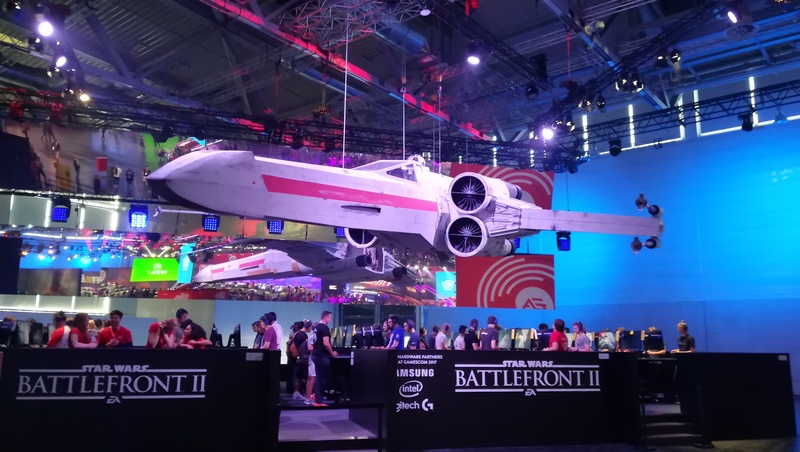 This year’s Gamescom was a PR and business success. We’re glad that, once again, we had the chance to present our titles to people from all over the world. It really made us feel that what we’re doing is important. It brings people joy and fun. We’re surely coming to Gamescom next year. But what we‘ll prepare... only time will tell :).